Ebooks coming to the service? Sony has an unexpected card up its sleeve for games expo E3: an ebook service. According to rumours, the service - called Storyteller - will work across Sony's consoles, letting your Vita rival your iPad or Kindle as a reading device. It'll have a focus on children's books, according to the rumour. 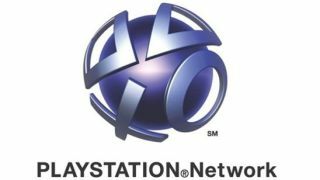 The ebooks will be sold through Sony's PlayStation Network Store. The company is expected to give the whole online buying service an overhaul for E3. The service would be better suited to Sony's Vita than PS3, unless you want to read ebooks on your TV, anyway. Though picture books could look pretty cool on the big screen. Rumours also abound concerning Nintendo launching an ebook service. Its forthcoming Wii U has a tablet control (pictures of a redesigned version leaked online recently), which would suit the reading of ebooks. Sony previously dipped its toe in the digital reading waters with its PSP comics service, but that is no longer active. Can Sony compete with the likes of the Kindle and iPad? Its consoles have branched out into handling other media, but with far less success than the Xbox 360, or devices built to multitask from day one, like the iPad and other tablets. Or will the service just highlight a handheld gaming console's limitations in the face of phones and tablets? And what else will its rejigged PlayStation Network Store have to offer? E3 takes place from June 5-7 in Los Angeles. We'll bring you all the news as it happens.